News reaching our front desk that 10 suspected armed bandits have been killed, while one kidnapper has been apprehended by the 1 Division Nigeria Army Kaduna in Chikun and Birnin Gwari Local Government Areas of Kaduna State. Col. Muhammad Dole, the Deputy Director Army Public Relations, made this development known to newsmen in Kaduna. Dole said six bandits were killed at Kidandan, along Dogon Dawa road, Unguwan Bilya, Sofa and Unguwan Nakuli villages of Birnin Gwari local government on Sept. 10 by troops. He added that four bandits were neutralized while others escaped with gun wounds when troops cleared Kidan Isa, Gidan Haruna Mobale and Kuduru. 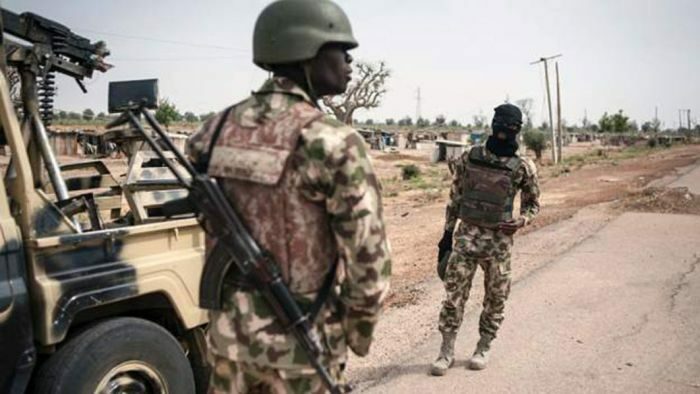 Dole Said that Operation WHIRL PUNCH under the Division was paying off as the troops were making progress in clearing the hideout of bandits and kidnappers in Birnin Gwari general area and along Kaduna-Abuja road. “During the recent clearance operations and routine patrols, they raided suspected kidnappers’ hideouts at Kidandan, along Dogon Dawa road, Unguwan Bilya, Sofa and Unguwan Nakuli. “Likewise in conjunction with the local vigilante groups, some identified escape routes used by bandits and kidnappers along Kuriga and Gayam general area as well as Maganda, Ciki da Parlour and Farin Ruwa, all located in Chikun LGA in Kaduna State were blocked and many were ambushed. During the pursuit, bandits abandoned four motorcycles and some valuable items which were subsequently recovered.” he said. He identified the arrested suspected kidnapper as Musa, who recently kidnapped one Alhaji Ahmadu and two other persons from Kano. “The suspect is currently being interrogated: the operation WHIRL PUNCH will continue to exact enormous pressure on the criminals hibernating in these suspected hideouts until they are either completely cleared or abandoned the area.” he added. He admonished members of the public to avail the military and other security agencies with information that would aid the arrest of criminal elements in the state.